This is the 3-digit code located on the back of your card just to the right of the signature area. 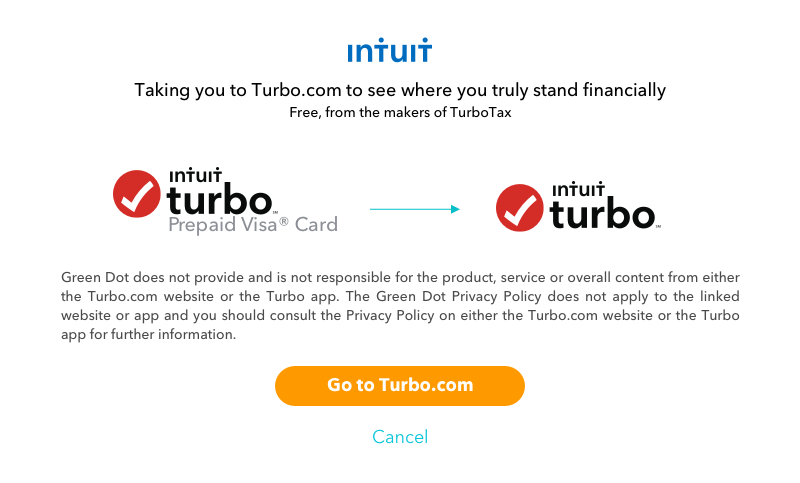 Intuit and Turbo are trademarks and/or service marks of Intuit Inc. Other marks are property of their respective owners. 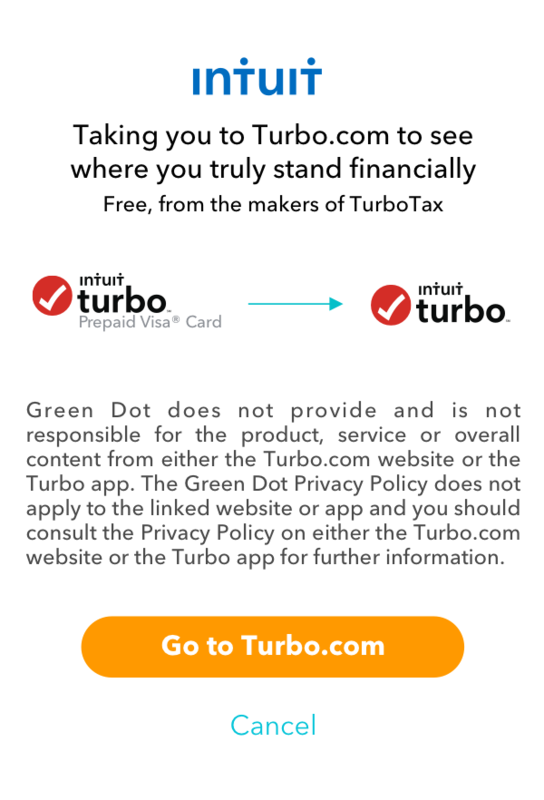 The Turbo℠ Prepaid Visa® Card is issued by Green Dot Corporation and is issued by Green Dot Bank pursuant to a license from Visa U.S.A Inc. Green Dot Corporation is a member service provider for Green Dot Bank, Member FDIC. Visa is a registered trademark of Visa International Service Association. Green Dot Bank operates under the following registered trade names: GoBank, Green Dot Bank and Bonneville Bank. All of these registered trade names are used by, and refer to, a single FDIC-insured bank, Green Dot Bank. Deposits under any of these trade names are deposits with Green Dot Bank and are aggregated for deposit insurance coverage. Green Dot is a registered trademark of Green Dot Corporation.